Add beauty to your landscape with low-growing plants or groundcovers, and solve difficult planting problems at the same time. These amazing options are ideal for Lowcountry landscapes and thrive in the southeastern US climate. Typically, gardeners turn to groundcovers to solve inherent issues to do with your landscape. This might include poor growing conditions, erosion, or sub-par soil. Talk to gardening professionals to learn more about how low-growing plants could solve your greenspace problems. It can be tough to grow grass on steep or hilly terrain. Groundcovers are a great, easy-to-care-for option that can also help control erosion on steep slopes. Low-growing plants also do well in spots that other plants do not, such as shady spots or in areas obstructed from the sun, like under a tree. Groundcovers also work in spots where your tree roots are close to the surface of your soil. These roots may impede grass growth, but not a low-growing plant or cover. As mentioned, groundcovers are hardy plants that may tolerate shade and drought, or full-sun and wet conditions. The common factor is that these plants do best with good drainage in soil that has been properly prepared. The soil should be tilled at least eight-inches deep and couple of inches of organic matter or compost added to the top will help it along. 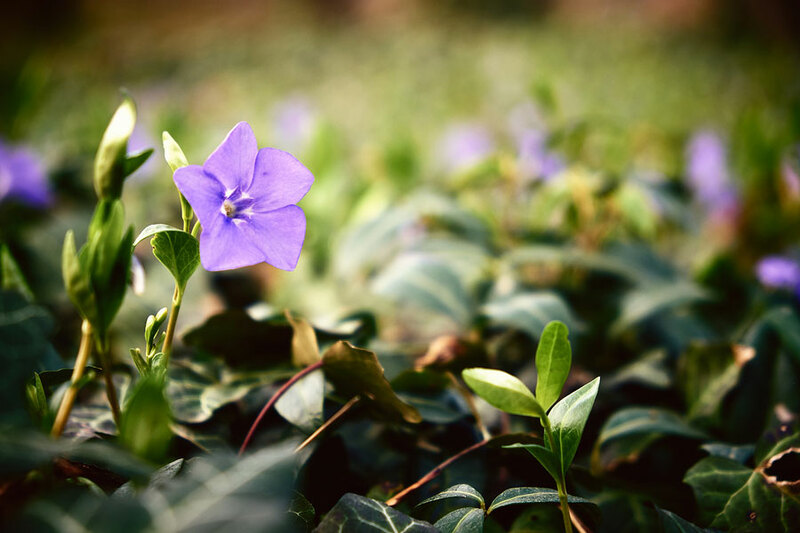 The amount of water needed will vary by species, but do not allow your groundcovers to become limp or wilt. In this region, you can plant groundcovers pretty-much any time of the year. If you do choose to plant in the fall, your plants may develop stronger roots due to less watering and more natural precipitation. Go with a staggered planting plan for quick coverage and integration. Add a couple inches of quality mulch to protect the plants from weeds, which is important until your cover is well-established – which can take up to a couple of years. The final ‘C’ in the gardening equation is cutting. Don’t drastically trim or cut your groundcovers in fall since the new growth may not survive the impending winter season. Instead, consider mid-summer or early spring cutting, which gives the plant time to become hardy before cooler temperatures prevail. Interested in integrating low-growing plants and groundcovers into your landscape? Call on the experts at Carolina Services Grounds Division, a commercial landscaping and ground services company in Charleston, South Carolina. Their expertise in Lowcountry plants and landscapes can help you solve difficult landscaping issues with ease and panache.